ARTICLE 19 works for a world where all people everywhere can freely express themselves and actively engage in public life without fear of discrimination. We do this by working nationally, regionally and internationally to close the implementation gap between law and practice. 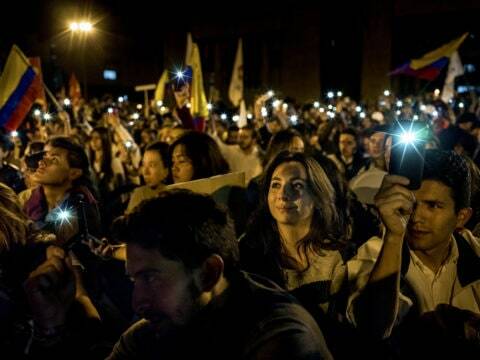 We promote media freedom, increase access to information, protect journalists and human rights defenders, fight the shrinking of civic space, and place human rights at the heart of developing digital spaces. Our Annual Report presents the highlights of our work internationally, under the five themes of our core strategy, the Expression Agenda – civic space, digital, media, protection, and transparency. The report showcases the diversity and impact of our work from national parliaments to the UN to Internet governance forums. Engaging around the world, from Brazil to Bangladesh and The Gambia to Turkey, our Annual Report highlights the work and successes of ARTICLE 19’s staff and partners.